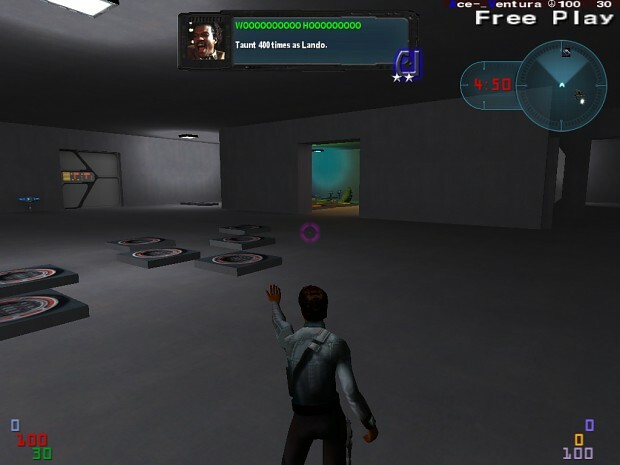 Movie Battles is a class-based, team-orientated Multiplayer Total Conversion for Star Wars Jedi Knight: Jedi Academy. Report RSS	Scoreboard, Class Screen, Achievements, and Movie Battles III? Nope, MB2 isn't dead guys. I'll just talk about the new features related to me (Ace-Ventura)in the next release. This includes Scoreboard, Class Menu, a small achievements update, and other minor things. Also the announcement of Movie Battles 3! Nope, MB2 isn't dead guys. I'll just talk about the new features related to me in the next release. 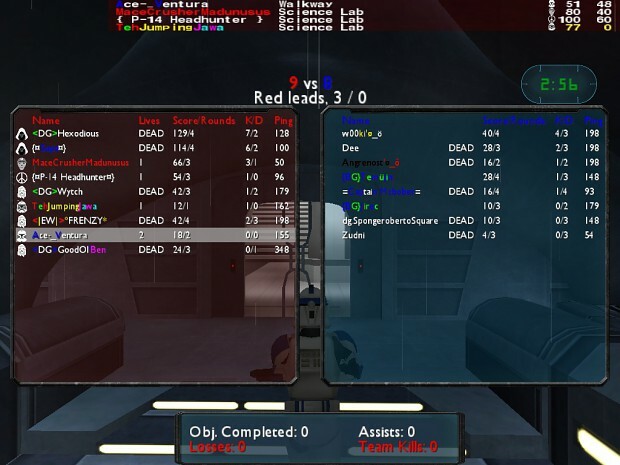 One of the things that was barely changed from baseJKA siege and MBII was the scoreboard. If you just started to play and you check the Scoreboard, you'll never guess that this is an Objectives-oriented-game. You see kills and deaths, which is usually what a FFA game type shows. Well, things will change in the next patch. Check out the pictures below. Score will now take in account all your performance in the game. So don't forget to start going for the objectives! So, you just joined a server and you want to choose a class. And you want to play Sith? Well better start clicking till you reach your choice! Or maybe, our menu was seriously outdated and needed to be changed. Problem solved? I think so. I'll start with the bad news first. No new achievements will be added for the next release. If you check the Scoreboard pictures again, you'll notice that Team Overlay is a little bit different now. Instead of showing the weapon (which makes no sense in MB2) it shows an icon related with the class now. The ingame server browser will now show a message when the master server is down, also it saves the servers where you play in the favorites tab (you can disable it), that way you can still play in your usual servers. Private messages are also a bit improved now. It shows with who areyou talking to, and the /tell command has been changed. So if you wanted to talk ingame with me you could just type /tell ace you're the best there's. First round in each map will now give you 20 seconds of intermission. I know, I know, none of those features affect gameplay, but they do improve your experience while playing. Plus you get some news, so be happy you bastards. And last but not least, it has been out for a while... the announcement of Movie Battles III. I'm proud to announce MovieBattles III! While we did have a little April Fool's fun with this, the project has actually been in development for about 6 months, and we're in the final phases of testing before our first release. We've put together a little video that does a slightly better job of demoing the game. 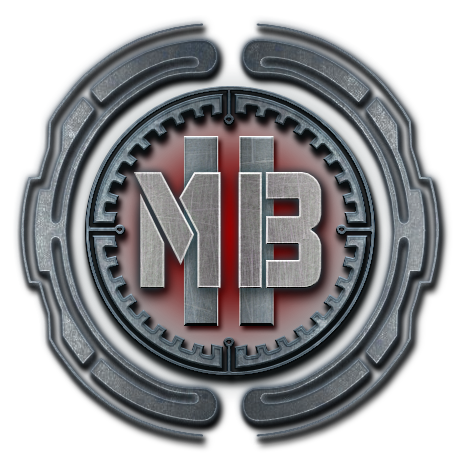 MB3 is a non-commercial (free), standalone game built with the Unreal Development Kit. What we have right now is pretty basic, but it's enough to get early feedback from the public. If you (or someone you know) are interested in mapping, modeling, Flash UI creating, etc. 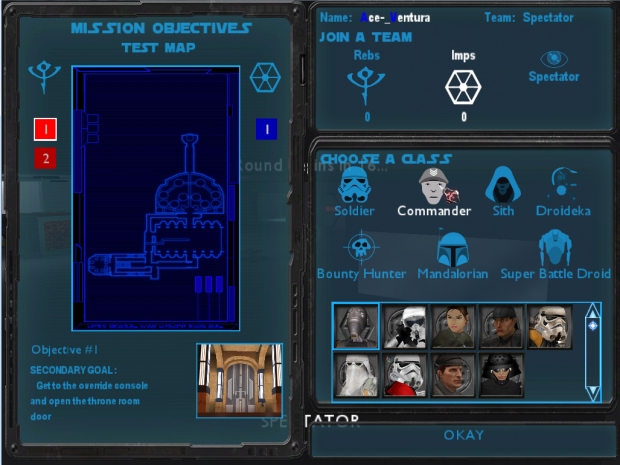 for a next-gen Star Wars game, send me a PM. The footage in the trailer is about a month old. We'll be posting our video test logs if you'd like to see what we're up to. Note that we've fixed a lot of bugs since the early video logs. This game is developed in parallel with MB2. There should be no change in how MB2 is developed, since MB2 comes first for the developers who overlap. Lightsabers dismember opponents and leave trails on walls. Lightsabers can deflect blaster fire while blocking. Lightsabers can block other lightsabers at any time. Dynamic aim: your gun fires at whatever your crosshair is over, regardless of depth. Combat is very rough right now. No BP, just whacking each other with big bats and hoping for an insta-kill. Push has two modes. Tapping push will fire a very small push cone. Holding push charges it and allows you to fire a much bigger cone that can trap multiple enemies. I hope you all enjoy this little update we have here. Also checkout the images section of ModDB for some additional content not featured in this news post. Keep in mind, that the video for Movie Battles 3 is a couple months old now, at the time of this post. Check out the moddb page below for updated content and test logs! Don't forget to track updates!